Be prepared for me to eat some serious crow in today's ballpark report. I have been complaining about sitting under a roof the entire season, but today I welcomed the dome's protection from the fiery sun beating down. 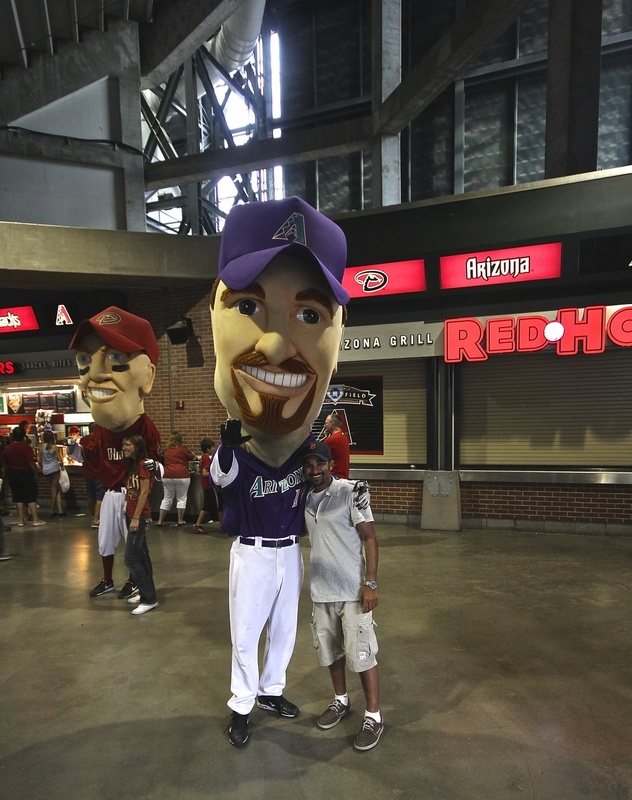 The thermometer reached 106 and with a t-shirt giveaway scheduled at Chase Field there was a line around the stadium hours before the gates opened. 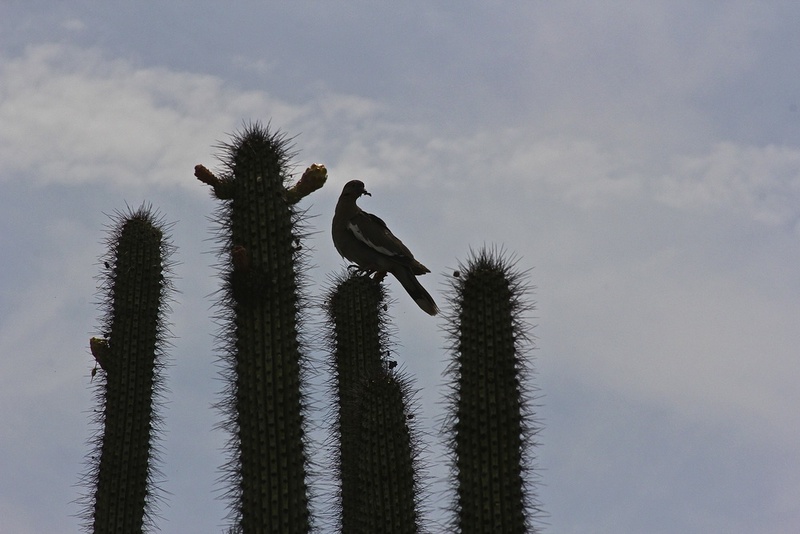 Rindler and I spent the morning checking out the Desert Botanical Gardens before heading to the park. Living primarily in the Midwest and East Coast my entire life I have not spent much time in the desert. As much as this tour is about baseball, I am also trying to explore as much of America as time allows. 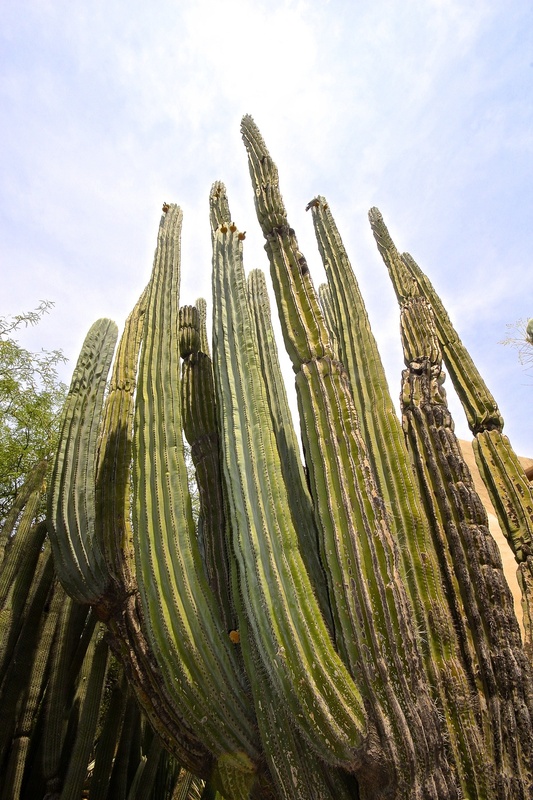 For those who may live in the American Southwest the cacti may not be very impressive. For a man such as myself who has spent the entirety of his life away from nature, I thoroughly enjoyed taking a stroll through the plant life Phoenix has to offer. 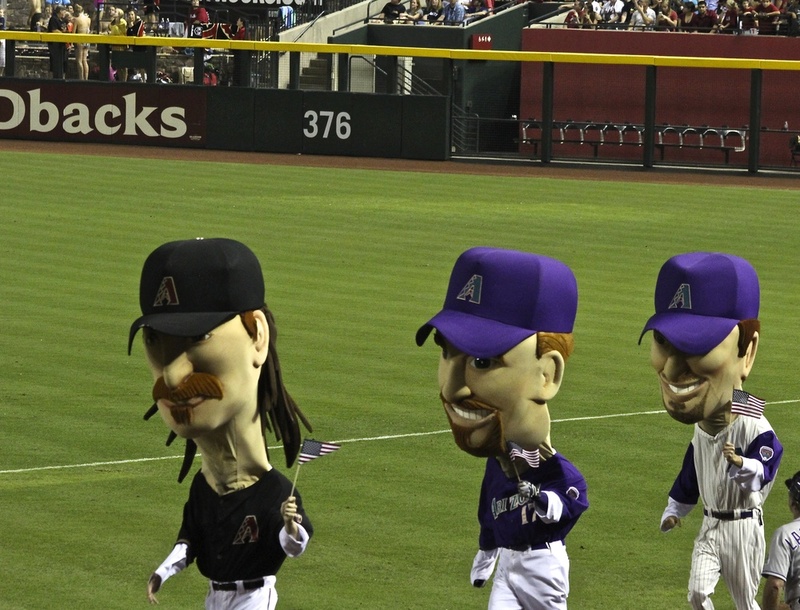 After the gardens Rindler and I headed to the ballpark to stand in line for our free Red, White and Blue Diamondbacks t-shirt. This is the first promotional giveaway of the tour so far and I was not fully prepared for how many people got to the park early. Normally I have been been arriving about 30 minutes before the gates open so that I can walk around the stadium and get a feel for how the stadium sits in each city. There have rarely been any other fans congregating near the gates, but by the time Rindler and I got to the park, the line had already wrapped around the block. 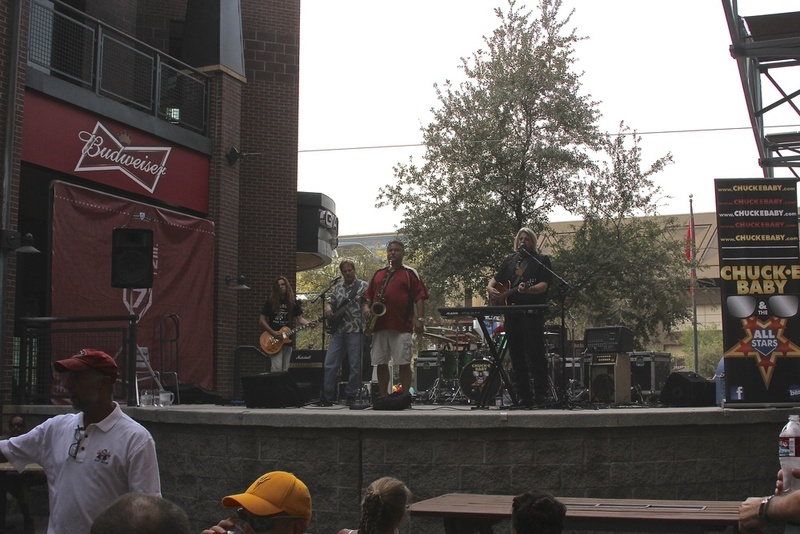 Luckily there is a stage set up for live music and a bar to cool off from the heat outside of the stadium. After two hours getting to know our fellow latecomers in line we made our way into the stadium. We got our free Dbacks shirt and headed to grab some food. Being in Arizona we had to try some local Mexican cuisine so I discovered a vendor called Macayo's where I ate some taquitos. After eating mostly beef and BBQ pork from stadium to stadium, this was a nice break from the norm. Normally the inside of a domed stadium feels small and cramped, but here in Arizona there is an expansive feel to the park. 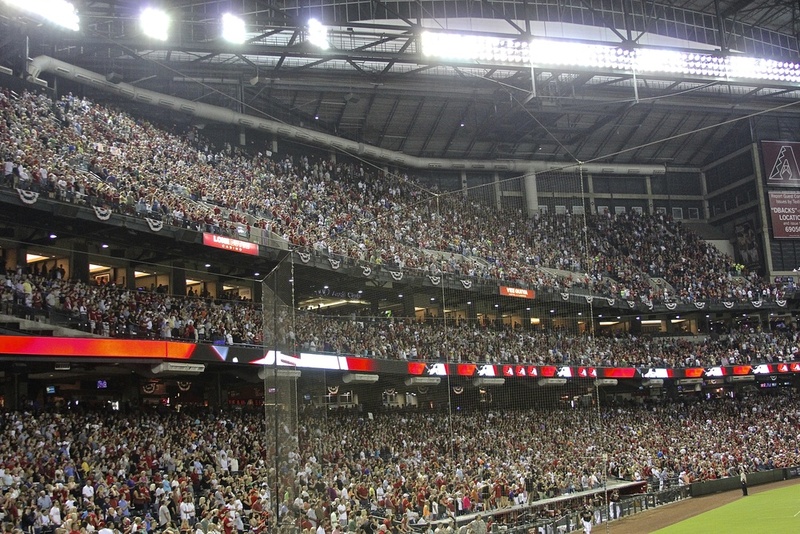 Unlike Miami and Houston where I firmly believe they close the roof out of convenience, in Phoenix it is a necessity. Being uncomfortable in 90 degree humid weather is ok at a ballgame because it makes the beer and ice cream taste better. I am not a doctor, but I assume that being miserable at 105 degrees is probably not healthy. The first thing that stuck out to me about this park was not the pool in the outfield, but the fully equipped Mountainside Gym that is accessible from inside the park. You have to be a member, but once you sign up you can grab a hot dog in the 1st and work it off during the 7th inning stretch. 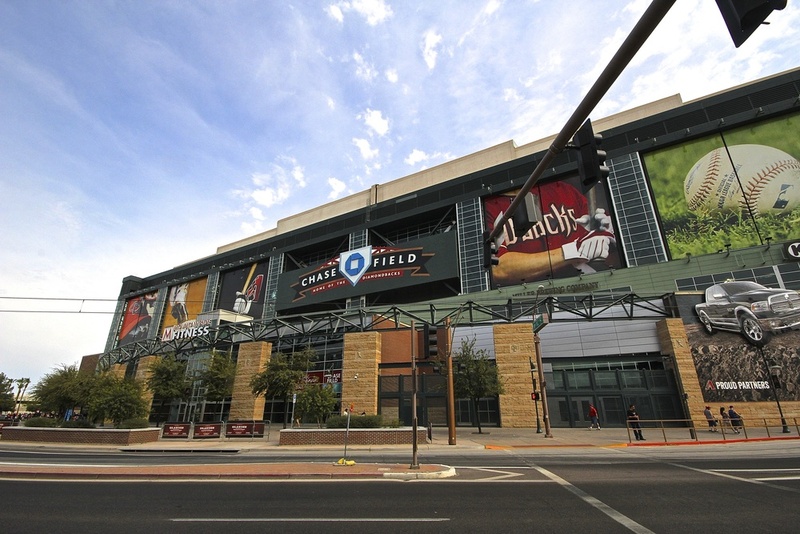 After that, if you are lucky enough to be one of the 35 ticket holders to the pool area you could get quite the workout at a Diamondbacks game while enjoying some quality baseball. The aura in the stadium today was a solemn one as the tragic deaths of 19 Arizona firefighters weighed heavily on everyone's minds. There was a moving tribute to the fallen that included a bagpipe rendition of Amazing Grace along with images of the men appearing on the scoreboard. The money collected for tonight's 50/50 raffle went towards the Yarnell Fire Relief Fund. With the game being rather one-sided the tension in the building was relegated to how high the raffle would get. Nobody in the sellout crowd left their seats until the end of the 9th inning when the grand total flashed up on the scoreboard. When the number did show up the stands erupted. Following a 19-second moment of silence the game was underway. 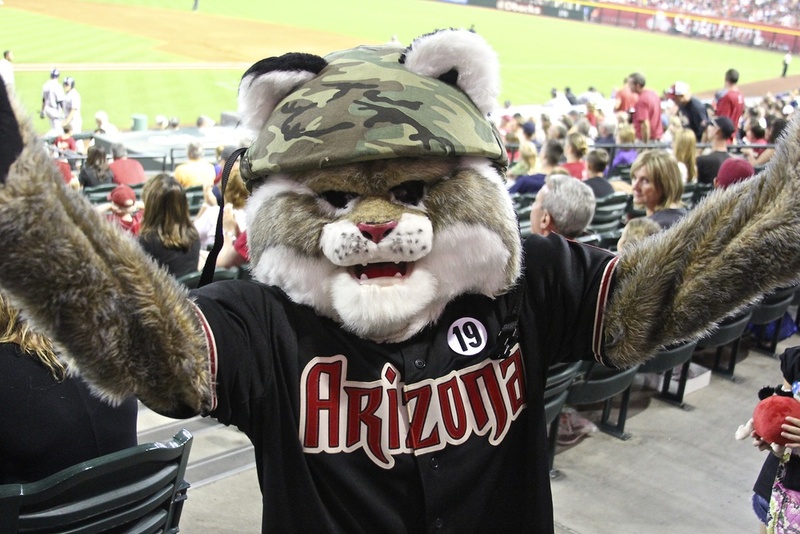 21-year old pitcher Tyler Skaags toed the rubber for the Dbacks and pitched a gem. He scattered three hits over eight innings and did not allow a run. I may be a jinx for the Colorado Rockies. I just came from Colorado where I watched the Dodgers shutout the Rockies and now here I am in Phoenix where the Diamondbacks refused to let any Rockies cross home plate once again. The entire crowd wanted to see Skaags come out for the 9th, but with a five-run cushion and a pitch count already into the triple digits, Bob Melvin elected to bring in J.J. Putz to slam the door. 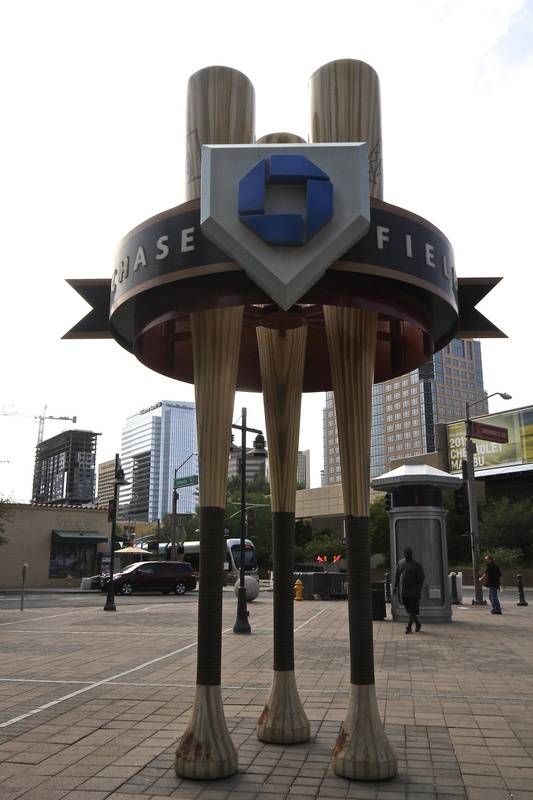 The pool in center field is definitely a unique aspect of Chase Field and something that I would like to try if and when I come back to this park. I plan on doing more exploring at tomorrow night's game as I feel I have not even scratched the surface of what makes this stadium great. After the game the crowd was treated to a fireworks show. I keep thinking that I am going to get sick of fireworks, but it has not happened yet. There was a time in my early twenties when I was anti-firework, but over the last several years I have learned to just sit back and enjoy the show. Very few of the 45,505 people at the park left this game early. Those who did duck out early missed one hell of a 20-minute show. With patriotic music blaring the crowd sang along in between “oohs” and “aahs”. It was a lovely way to end a day of baseball and remembrance. 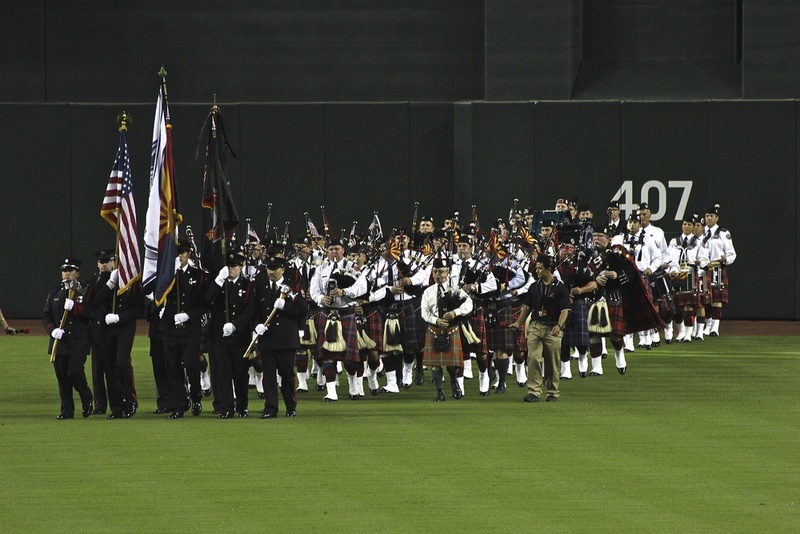 Seventh Inning Stretch: America the Beautiful on bagpipe and R.O.C.K in the U.S.A.